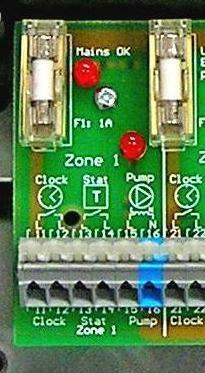 Here is zone 1 on the left of the board. Each heating zone is clearly marked. 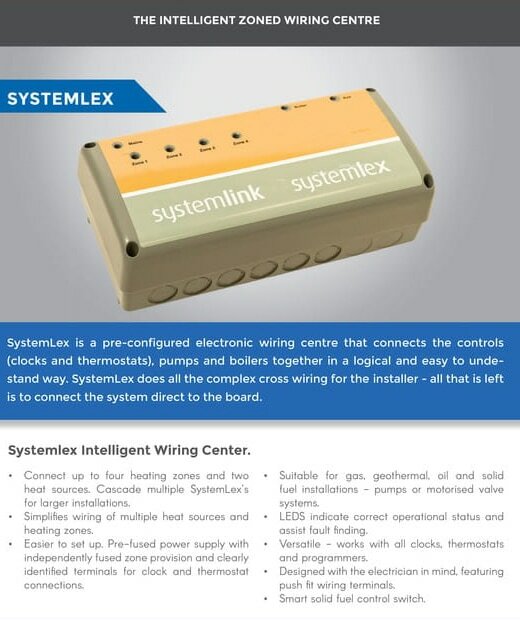 There is also an LED to show that power is being delivered to the SystemLex. All the LEDs are visible when the lid is in place. 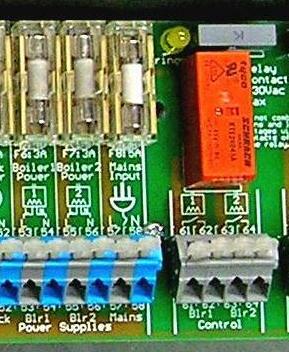 This picture shows the mains fuse and also the fuse for the individual zone. 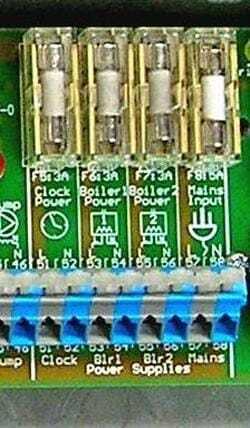 This set of connections may be used if an auxiliary function is to be performed, such as 'Hot Water Priority' or where an additional boiler, pump or valve is required. 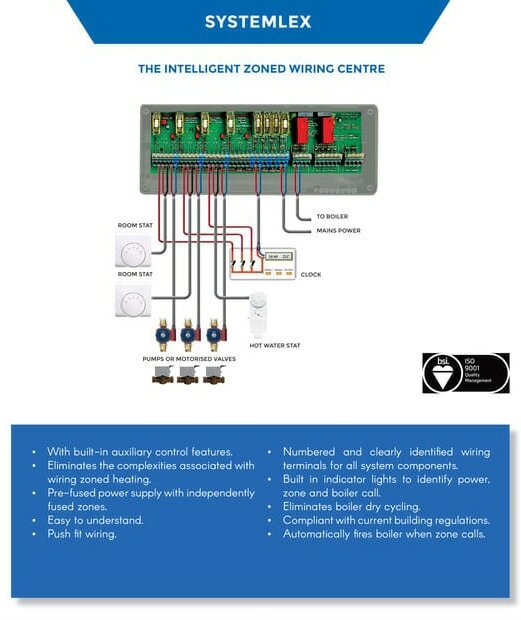 There are two sets of 'voltage free' terminals situated at the right hand side of the wiring termination block. These switches have both normally open and normally closed sides. 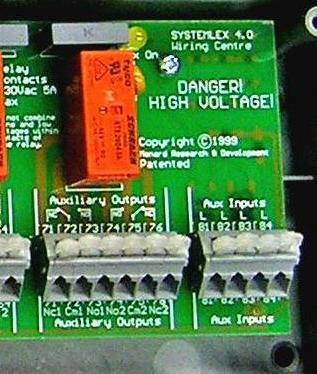 Both switches switch simultaneously when power is presented at any one of the auxilliary inputs. The auxilliary inputs are independent of each other. These terminals exist to cater for the unexpected control dilemmas that regularly occur during heating installation, and will easily solve many otherwise exasperating problems.